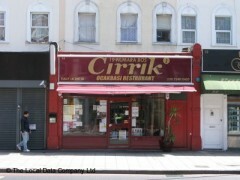 I have recently visited this Turkish restaurant, though I live in the area and I have heart of it many times. I ordered a chicken "shish" and it was fantastic. The service was very good too. This place serves the kind of kofte id swap my own mother for. The helim is out of this world and dont get me started on the cold mixed starter WHALLOP. The staff are very friendly and the decor offers a certain Je-ne-sais-quoi. Its the perfect venue for any "Kufte Klub meetings". This is a hidden gem. The food tastes fab. The grills especially spare ribs are my favourite. The accompanying onion tomato salad and the grilled onions in a sauce which are not charged to your bill just add to the real hospitality of a decent restaurant. If your looking for good food this is a place worth trying!